Live Auction! Bidding to start from $780,000! Remodeled in 2015, this fantastic single story home is just 2.5 blocks from dog beach, shopping, dining, & the best of Ocean Beach living! Featuring 3 bedrooms, 2 baths, hardwood floors, a gorgeous kitchen with quartz counters, tile backsplash, stainless steel appliances, washer & dryer, this home is not to be missed. Property was recently used as a VRBO rental, making it the perfect choice for investors as well! Tons of additional potential, see supplement..., Outside enjoy fenced yard with tropical landscaping, large patio, & more. Rented as a successful VRBO for $275/night. 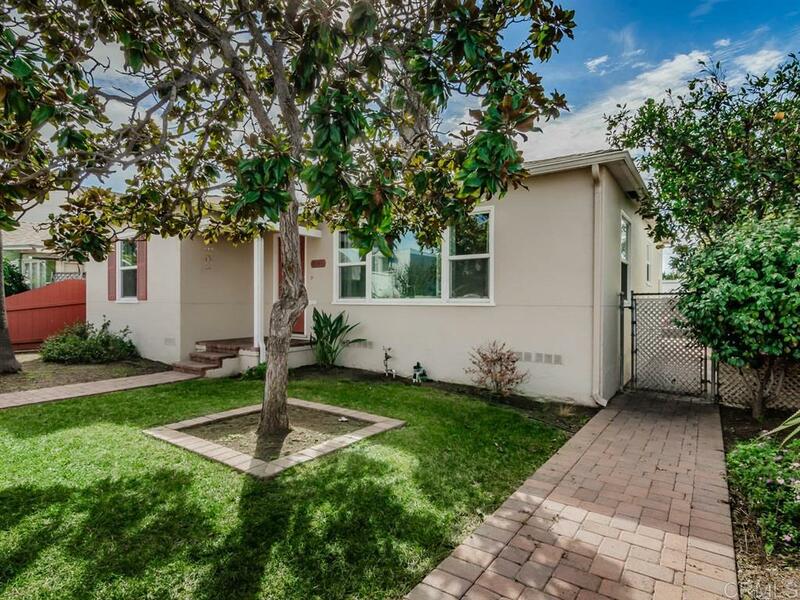 Great location provides easy access to Mission Beach, Seaworld, Liberty Station, Pechanga Arena, Old Town, Balboa Park and Downtown - all the tourist destinations! Current off-street parking for 2 cars at back of lot could become detached garage or carport. Plus lots of potential for improvements including conversion into multiple units or addition of second story with potential to create ocean view! Previously approved and permitted to build two modern 1 bedroom 3 story townhomes (756 sf each), with roof top decks, 5 parking spaces (3 covered) on back of lot.